Do you have any questions? Check out our FAQ. If the question you have isn't on the list, contact us! In most cases, the size of CHP equipment is based on minimum hourly heat consumption, which remains constant throughout the year. In this way, the cogeneration plant will operate at full capacity all year long, resulting maximum efficiency and a fast return on investment. Example: residential districts, hotels, hospitals. Another method is that the cogeneration equipment is going to operate continuously at maximum electrical power. This operating strategy is used, when the entire amount of energy produced is delivered to the national grid or when the cogeneration covers just a part of the power consumption of the beneficiary. The size for biogas cogeneration equipment depends on the amount of biogas produced. 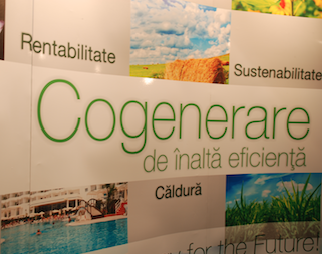 For a free analysis of a cogeneration project, please fill in the questionnaire below. The average life of the equipment depends on the operating parameters and the number of annual operating hours. Also should be considered other factors such as installation, quality of fuel used, maintenance and repairs made ​​during the entire life cycle of installation. The average life expectancy of equipment reaches 14-15 years, but with proper maintenance, it can be extended up to 18-20 years. The obtaining of green certificates - for biogas or cogeneration bonus - natural gas (click here for details). The real payback time of the investment can vary from 4 to 8 years, in case the equipment runs on biogas and meets the necessary conditions to qualify for green certificates. Our specialists can provide for free, a primary feasibility analyze of a cogeneration project based on data supplied by you, to define the project, exactly. For further information about cogeneration equipment, the return on investment or services provided, please fill in the questionnaire or contact us. Standard delivery time for cogeneration equipment provided by 2G is between 4-6 months after signing the contract and the advance is paid. Delivery time could be reduced depending on the stocks manufacturers, but a real time will be communicated after establishing all technical details and signing the contract. The automation level of other existing systems and manner they connect with cogeneration. Further information regarding the total cost of implementing a cogeneration system adapted to your situation, please fill in the questionnaire or contact a specialist (from our company). A cogeneration equipment is ready to be used and goes/pass through several stages.The process of installation will take about two days. This can be done by 2G company experts, or by the itself or another selected company. In the second case, our company provides full documentation and instructions necessary for the installation of the cogeneration equipment.2G Specialists from Gemania, perform the implementation of cogeneration equipment that lasts 2 to 4 days. This process involves making final tests and specific settings for equipment operation. After the installation is settled, 2G experts/specialists, performs the test setup and takes between 2 and 4 days. Commissioning must be done, invariably, by producer to guarantee the cogeneration equipment. All 2G equipment are prepared to be connected to a ISDN (Integrated Services Digital Network) telephone network, in which the main operating parameters can be seen by the customer via Internet, using a special software provided by 2G. This software allows the machine to be stopped, restarted or to support changes in certain operating parameters. Also, all equipment are monitored continuously, from the command center of 2G Bio-Energy from Germany, with the benefit to intervene quickly in case of error. On demand, you can install a UMTS (Universal Mobile Telecommunications System) modem, to supervise the equipment through mobile data network. Standard warranty period for cogeneration equipment, offered by our company is 12 months. At customer request, the guarantee can be extended by another 12 months. B-Team Energy and Environment has a specialized team in technical maintenance and repair of equipment, accredited by the producer. We provide both regular technical maintenance (oil change, spark replacement, etc), according the plan of each equipment and extensive repairs in emergency situations. If special technical problems occur the time of the specialist intervention team is maximum 48 hours in any area of ​​Romania. Thought of another question? Contact us! Contact us! Please fill in the fields marked with red!